If you’re one who cares about what goes on your body and an advocate of conscientious beauty brands then you probably already know of Dr. Hauschka. Not only do they create certified organic and cruelty-free cosmetics, they also champion sustainability and make a difference around the world. It’s interesting to note that 80% of the world’s heroin supply comes from Afghanistan. Dr. Hauschka, in order to combat the opium trade in the long term, offered the community an alternative means of securing a livelihood. 12 years ago, German Agro Action started a project with 700 farmers in Afghanistan to produce rose oil. There are now 100 hectares of land that the Damask roses grow on. 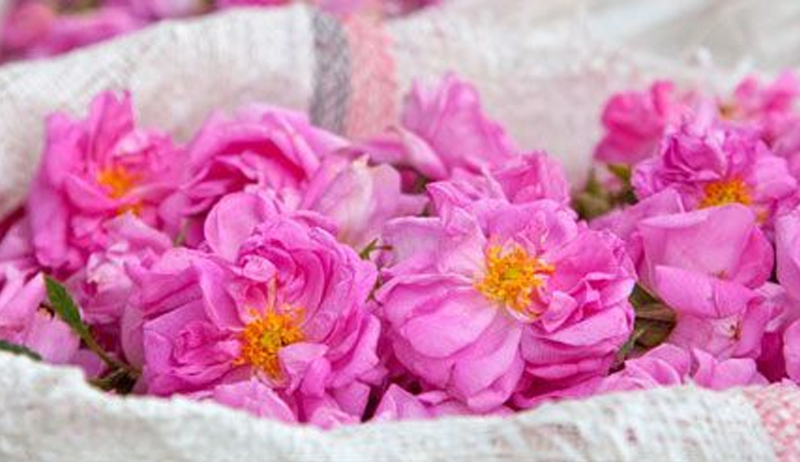 Producing rose oil is an ancient Afghan tradition that has recently been revived. A large volume of the rose oil that is produced in Afghanistan is sold to WALA since they started supporting the project in 2006. This collaboration between WALA and German Agro Action provides the manufacturer with an additional source of the costly commodity especially since there is a steadily growing demand for oils from ecologically cultivated plants. As a consumer who applies cosmetics and skincare daily on to the biggest organ in our body; our skin; you should be wary of both where and how the products are created and what is actually in them. After all, your body is your temple and you better treat it right. Women are the primary consumers of care products and are disproportionately exposed to chemicals such as phthalates, parabens, triclosan and oxybenzone; ingredients that are included in almost all conventional personal care products. Read more about what happens to your body when you switch cosmetic products. On top of using products that aren’t harmful to you or your teenage daughters, we should also start supporting those who work in development cooperation projects like Dr. Hauschka to make a small individual change.